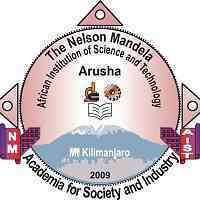 The Centre for Water Infrastructure and Sustainable Energy Futures (WISE-Futures) at the Nelson Mandela African Institution of Science and Technology (NM-AIST) is one of the Eastern and Southern Africa Centers of Excellence (ACE II) to strengthen African higher education institutions to deliver quality post-graduate education and build collaborative research capacity in the regional priority areas. d) To promote inclusive socio-economic transformation in the region by turning research findings into usable and accessible products for the benefits of society, and industry, and the sustainability of the environment. NM-AIST collaborates with a wide range of national, regional and international partners, and other Centers of Excellence in the Region. Full time two years contract, with a probation period of six months. The position is renewal subject to satisfactory performance. Maximum duration is three (3) years but this may be extended subject to availability of funding. • Individuals currently employed in the Public Service should route their applications through their employers. Deadline for application is 30th April 2019. Recruitment will be as soon as possible. Please mention the position in the e-mail header or on the envelope. Note: Any other correspondence in response to this advertisement will not be dealt with. Only shortlisted candidates will be contacted through their addresses/e-mails/phones.